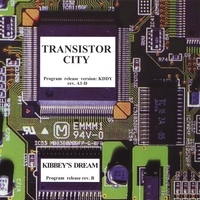 Kibbey's Dream is the musical brainchild of veteran drummer, singer and songwriter Walter Kibbey, along with Partev Barr Sarkissian as producer/audio mastering/CD cover artist on this debut CD "Transistor City". Kibbey writes and performs and records all the music himself. Ending up with a collection of 70's and 80's style Pop Rock Songs you're sure to enjoy. Kibbey used a combination of digital midi sequencing instruments and analog guitars and vocals, that came up with very clean solid sounding tracks. Kibbey's songs and vocals are influenced greatly by The Beatles, Steely Dan, The Beach Boys, Neal Young, Peter Frampton, Billy Joel, Toto, Todd Rundgren and Supertramp. During Kibbey's career as a pro drummer, just a few of the artists he played with were Stevie Wonder, Buster Brown, The Coasters and The Shirrells, Jimmy Stallings from Sir Douglas Quintet and the band Magic (which featured Ron Bushy, Ron 'Rocket' Ritchotte, Bill DeMartines and Taylor Kramer) which was a spin-off band of the fabulous Iron Butterfly. You'll hear great 70's style songs with 80's style productions. The songs are intelligent, with great melodies and hooks and are sure to impress listeners from all age groups and musical backgrounds, especially 70's and 80's music lovers . So take a listen and surely you'll want to go with Kibbey on an extrordinary musical journey to "Transistor City". Check out Kibbey's Dream website to find out more about the history and music of Walter Joseph Kibbey and his Kibbey's Dream. -- Keeping the Dream alive.